They’ve gone from 68 teams to a Final Four in college basketball in the blink of an eye, with buzzer-beaters and upsets leaving broken brackets and players’ hearts in its wake.Some of the bluebloods who were supposed to reach Minneapolis failed to make that final step as both Duke and freshman phenom Zion Williamson were eliminated in the regional final, along with Kentucky and John Calipari’s annual group of 1-and-dones. Another of the favorites and considered arguably the best team in the field – Gonzaga – also is nowhere to be seen as the Bulldogs also finished one win short. This year’s Final Four is about the new blood instead of the old guard – Texas Tech and Auburn are making their first Final Four appearances in school history, while Virginia returns after a 35-year absence from college basketball’s biggest stage. There is one old standby in Michigan State as coach Tom Izzo makes his eighth Final Four appearance in search of a second title to go with the one he won with the Spartans in 2000. On paper, three of these teams look very similar. Texas Tech, Virginia, and Michigan State all play standout defense and have varying degrees of offensive firepower that can become elite at any given moment. 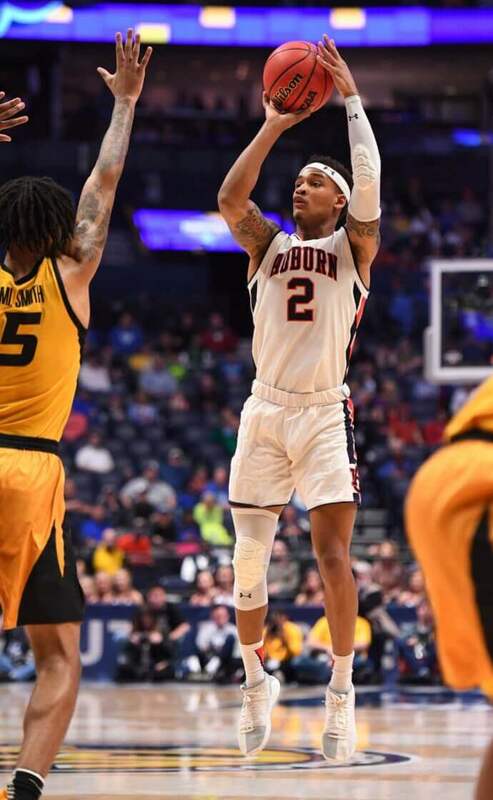 Auburn is the wild card of the quartet – riding an emotional wave that included an SEC tournament title and rallying around injured forward Chuma Okeke to knock off conference rival Kentucky for its spot in Minneapolis. The Cavaliers are this year’s “redemption” story of the NCAA Tournament, having entered this March as the punch line to being the only No. 1 seed to lose to a No. 16 seed in the first round last year. Virginia (33-3, +125 to win the NCAA Tournament) gave fans a scare falling behind by double digits in this year’s first-round game before finally righting the ship. The Cavaliers, who are 5.5-point favoritesfor this game, have a much better offense than last season to go with their pack-line defense which limited opponents to a Division I-low 55.4 points per game. 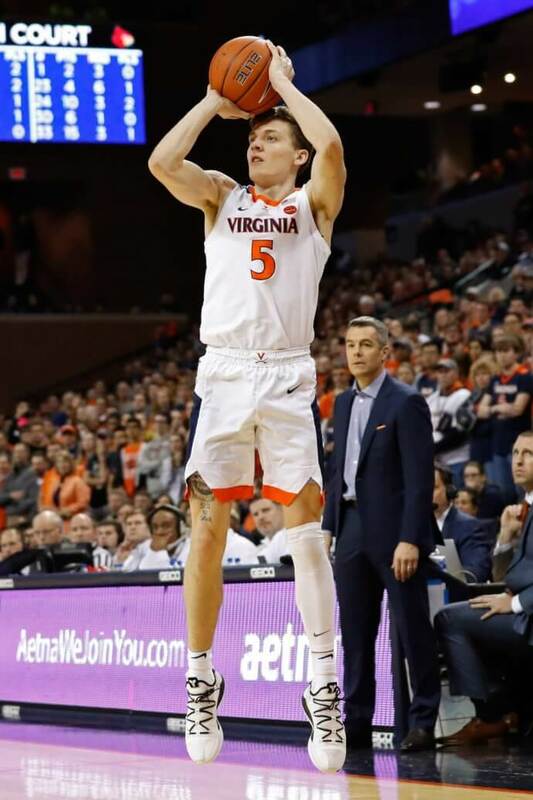 Tony Bennett’s team is paced by juniors Kyle Guy (+550 to win Most Oustanding Player) and Ty Jerome (+410)along with sophomore De’Andre Hunter (+600).Hunter missed last year’s first-round stunner due to injury but has been a steady contributor in Virginia’s four NCAA Tournament wins and had four of the team’s 10 points in the regional final overtime win over Purdue. Guy has become a better 3-point shooter this season, hitting 42.7 percent from deep, and scored 25 points against the Boilermakers. Virginia is not a very deep team, as only Braxton Key and Jack Salt have seen noticeable minutes off the bench. The Cavaliers have yet to lose to a non-ACC team as they have only lost to Duke twice in the regular season and Florida State in the ACC tournament semifinals. Auburn (30-9, +800) may be the underdog of this year’s Final Four but underestimate the Tigers at your own risk. The Tigers roared through the SEC Tournament, winning four games in four days, before adding another four victories in the Midwest Region to reach Minneapolis. Many thought Bruce Pearl’s team was done after Okeke tore his ACL in the regional semifinal win over North Carolina, but undersized did not mean undermanned as Auburn refused to lose to Kentucky for a third time this season. The Tigers are led by the backcourt combination of Bryce Brown (+1,500)and Jared Harper (+1,800),a pair of deadly perimeter shooters. Brown has made 137 3-pointers on the season – good for second in the country – while Harper has added 96 as Auburn is shooting a conference-best 37.9 percent from beyond the arc. Danjel Purifoy and Horace Spencer will try to replace the sizeable void left by Okeke, who averaged 12.0 points and a team-high 6.8 rebounds, but the Tigers will likely live or die by the 3-pointer in this game. They have averaged 12.2 treys in the 12-game winning streak that got them this far while connecting at a 38.6 percent clip. Auburn will try to speed up Virginia into a quicker pace and score off live-ball turnovers, something the Tigers are very good at as they force 17.3 turnovers per game. The Red Raiders (30-6, +460) may be the most unlikely team of the four as coach Chris Beard had to replace five seniors and a first-round NBA pick in freshman Zhaire Smith. 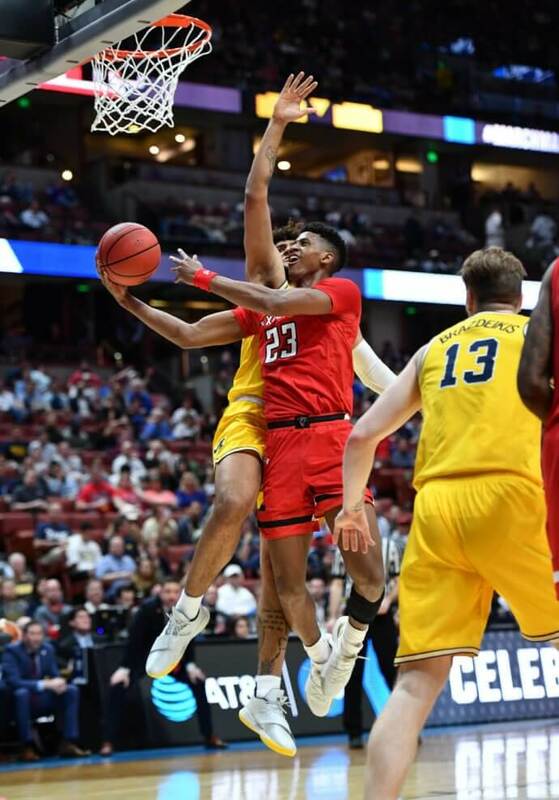 But a relentless attention to defensive details coupled with excellent team chemistry after last year’s run to the Elite 8 helped Texas Tech take that last step as the Red Raiders shut down a top-seeded Gonzaga team that had one of the most efficient offenses in the past decade. Texas Tech is a team whose sum is greater than its parts. Jarrett Culver (+600) is the unquestioned star of this team, able to get to the basket in multiple ways with his slinky 6-foot-6 frame. Matt Mooney and Davide Moretti (+3,600)are the team’s 3-point specialists, with the Italian-born Moretti knocking down 46.3 percent of his long-range attempts. Tariq Owens – like Mooney a graduate transfer who came to Lubbock for his final season – protects the rim and chips in 11.0 points per game. But defense is Texas Tech’s calling card, finishing second nationally in defensive field goal percentage (36.9) and third in scoring defense (59.0 ppg). They held all four opponents in the West Region to at least 18.6 points below their season scoring average and 23.4 percent shooting from 3-point range. 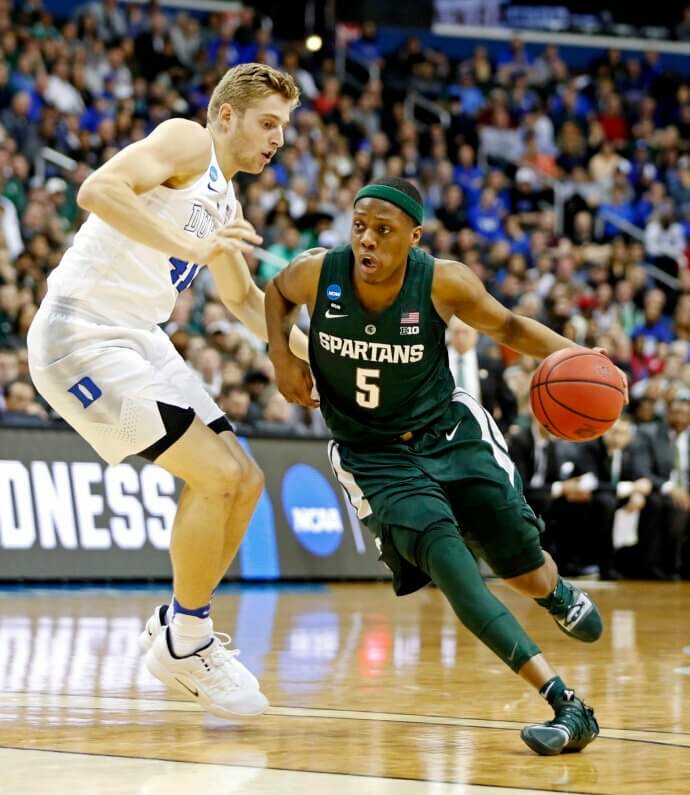 Michigan State (32-6, +195) is no stranger to the Final Four, and while Izzo is making his eighth overall appearance and first since 2015, the Big Ten co-champion had made early exits in two of the last three years despite being a top three seed. The Spartans – 2.5-point favoritesfor this game – also have a superstar guard in Cassius Winston (+270)who is the engine of their offense. Winston is a point guard who can score and enters this game averaging 18.9 points and 7.6 assists. He had 20 points and 10 assists in Michigan State’s takedown of No. 1 seed Duke in the regional final and is an extension of Izzo on the court. Everything about Winston is silky, from his handle to his shot, and he gets the ball where his teammates can score. Nick Ward (13.4 ppg) is playing through a fractured non-shooting hand, which means different players have stepped up at different times offensively.